Dark dull winter days can be depressing, so don't wait until spring to bust out your neon, incorporate some pop into your winter looks. Take note from style bloggers and go big a bold with a neon green or neon pink coat to make a serious statement. 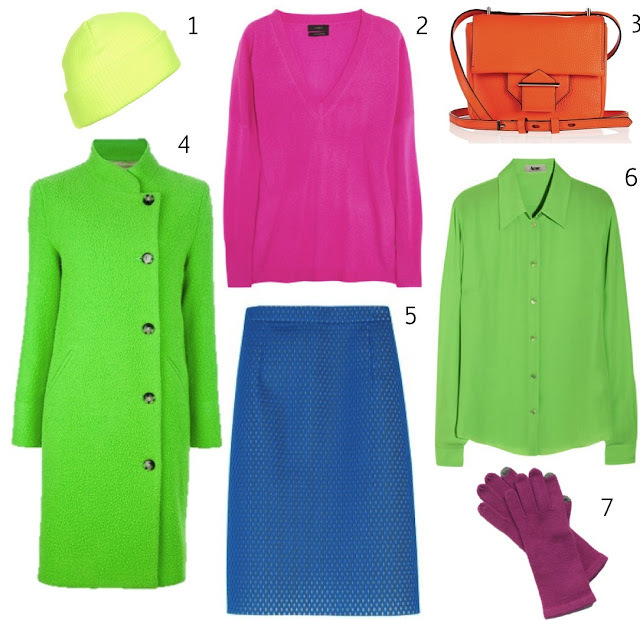 Too ease into the winter neon trend combine a cozy cashmere sweater or beanie in a shocking hue with go-to basic black. Still not convinced? Check out a few more drop dead street styles shots that incorporate neon color into winter wear. Please tell me I'm not the only one drooling over the combination of neon and camel? Talk about sassy chic. And that little lemon skirt...so perfect! So, now that we've all decided to jump on the 'winter neon' bandwagon, below are some perfect neon pieces to brighten up a dreary day. We need a lot of neon here in Dublin. This weather is just too depressing. Love all these neon stuff!! I totally agree! I love throwing in a bright, neon piece into a winter outfit just to make things more exciting. I especially love that neon skirt with the black tights and heels..gorgeous! Love these winter neons too!! I've seriously been looking for a neon yellow beanie! Thank you for the Topshop tip! I love pops of neon, especially in winter! I picked up a neon green beanie this past weekend that I can't wait to wear once the weather gets colder! I love pops of neon so much too, it always looks amazing! I'm definitely loving neon pops of color for winter! love the look of a portable package. divine! I love these pops of neon! I adored Blair's look when I saw it and the other examples you found are just as lovely! I'm not really a big fan of neon but I like the idea of a neon blouse under a sweater! 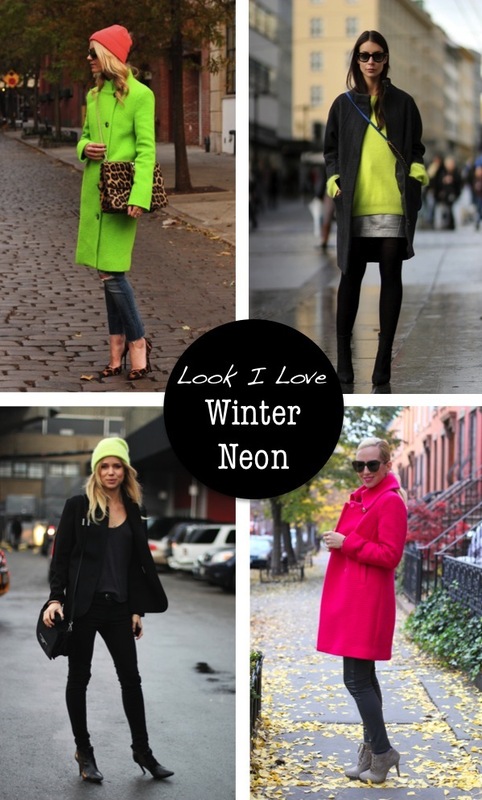 Aw, I absolutely love this idea of wearing neon in the winter season! Perfect picks! I adore this trend !